Football helmet lamps are an excellent gift for a teenage athlete or as a memento for a former football player. 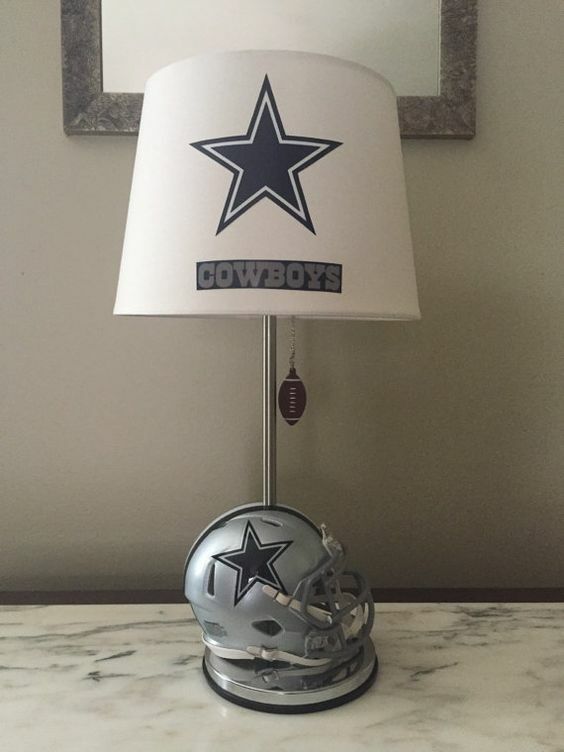 The lamps are easy to make and an ideal way to show team spirit. A football helmet lamp makes a great Christmas or Father's Day gift! Find a small football helmet – You can find football helmets at thrift stores or you can talk to a local school or athletic organization to see if they have any old equipment they want to get rid of. Gather all the tools, electric components, and a wood base – Many of the things you will need can be found around the house. Whatever you need, you can find at your local hardware store. If you use a socket and cord from a lamp you have dismantled, connect the cord and socket and test them to make sure it works. Clean the helmet thoroughly, inside and out. Once the helmet is clean, you can attach a school sticker or decal if one isn't already on it. Remove the center pad at the top of the helmet and drill a hole big enough for the hollow post or pipe to fit through. Drill a hole through the base so that it lines up with the hole in the helmet. Glue the helmet to the base and allow it to cure for several hours. Insert the center post through the helmet and feed the electric cord through the base and the post so you can attach the socket. Attach the socket to the electrical cord and then to the center post making sure not to bind or bend the cord in the process. Make sure the electrical cord is secured as it comes through the base. Put a light bulb in the socket and place the shade on top. You can use almost any blank helmet and order decals from us to make the gift complete.